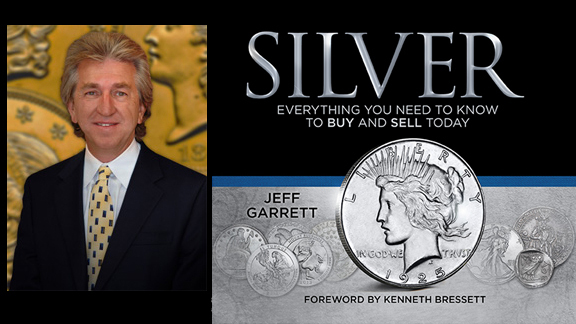 Whitman author and noted numismatist Jeff Garrett has received the Numismatic Literary Guild’s annual award for Best Numismatic Investment Book for his work, Silver: Everything You Need to Know to Buy and Sell Today. The Numismatic Literary Guild (NLG), a nonprofit organization composed of editors, authors, writers, bloggers, and content producers who cover news and feature stories about all forms of money, medals, and tokens as collectibles, presented its annual awards for 2018 on Thursday, August 16, in Philadelphia. This year marked NLG’s 50th anniversary. SILVER: Everything You Need to Know to Buy and Sell Today is the companion to the best-selling GOLD: Everything You Need to Know to Buy and Sell Today. 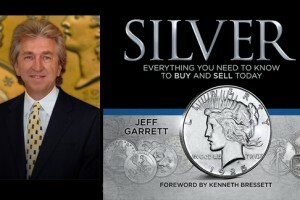 It helps coin collectors learn how to get their money’s worth when buying silver; how to sell their silver for a profit; the different forms of silver they can invest in; common mistakes to avoid; how to grade collectible silver coins; and much more. It includes handy pullouts to bring along when you when you buy or sell—including valuable insider information, bullion value charts, coinage specifications, weight conversion tables, and more.